Over the past 30 years, the role of marketers has changed tremendously. In the past decade alone, marketers have evolved from focusing on brand, reach, ad impressions, lead gen, and communications to a far broader set of responsibilities including ecommerce, data analysis, MarTech, and the customer experience. Essentially, CMOs are now Chief Transformation Officers. Right-brained marketers used to rule the world, but today both sides of the brain are needed to lead marketing. Omni-channel real-time marketing masters who fully leverage MarTech are rising to the top of the “must recruit” list – and as John and David discuss, more and more of them are ascending to lead the firm as Presidents and CEOs. 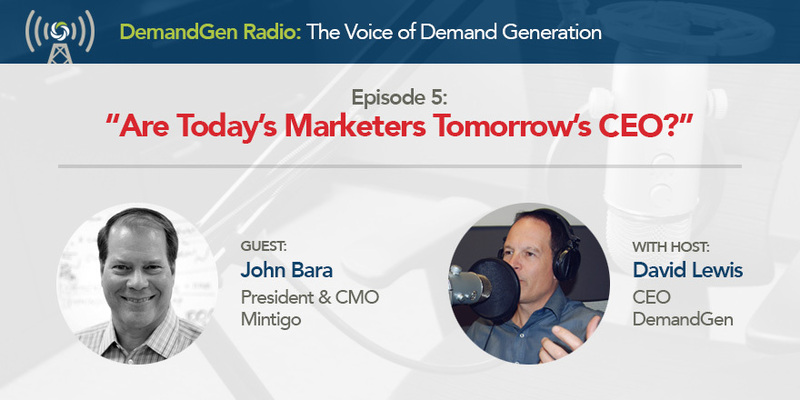 John and David also discuss how marketers rising in the ranks are fostering tight alignment with sales, and collaborating on adoption and use of a myriad of new technologies.